What are the flows in 2019? The following are projections, and can change suddenly, so please visit the link at bottom for up the minute flows. Flows in March are projected to be at 2000-5000CFS. We do not recommend people be on the water under these conditions. Flows are projected to be 2000-5000CFS in spring, through April and May. Due to an above normal snowpack, flows in 2019 will be higher than normal. 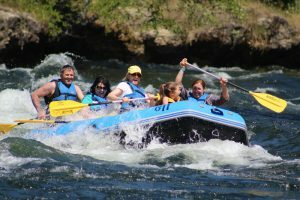 Rafting season will likely begin in late June, and expect flows to be above average all summer long. Flows in July, August and September are normally 200-500CFS. In 2019 these flows will likely be between 500-2000CFS. Flows are measured in cubic feet per second (CFS). 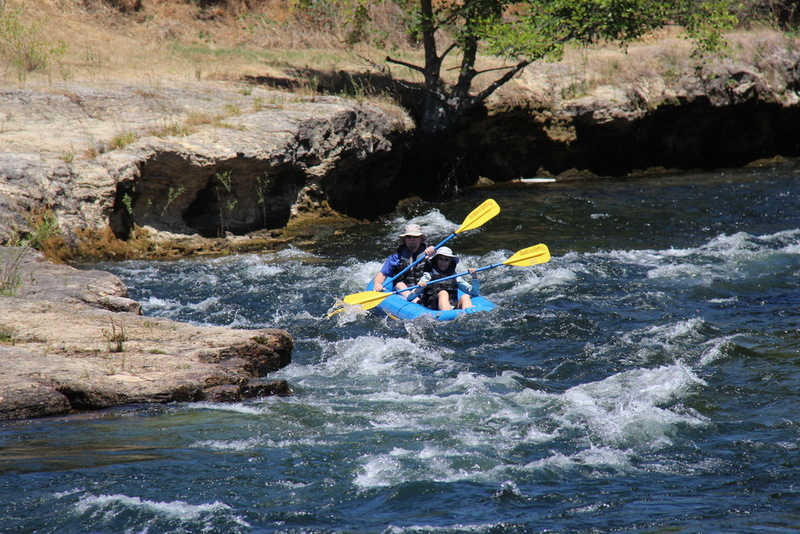 Average flows on the Stanislaus in summer months are between 250-750CFS. These flows are considered amateur-friendly "float trips". 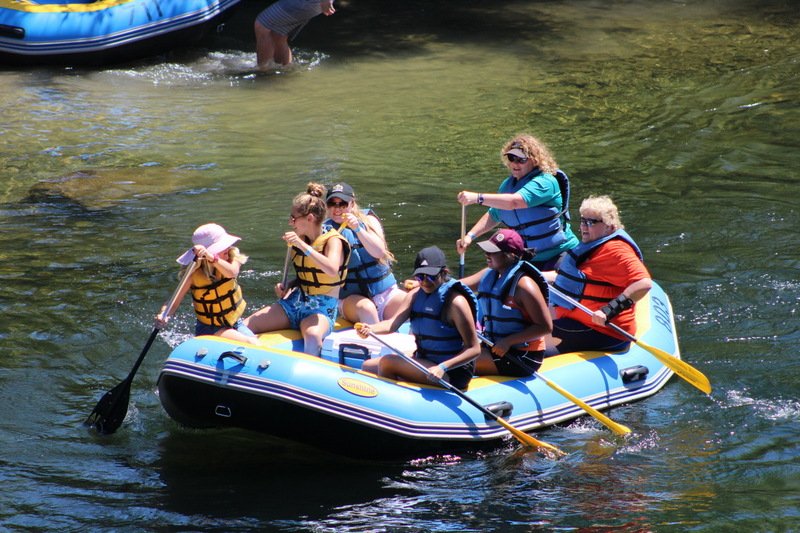 Flows between 750-1000CFS are still mellow, but we do recommend participants know how to swim, and you want to have one adult per child attending. Flows between 1001-1300CFS are more challenging, and require at least 2+ strong paddlers per boat, and we recommend all participants know how to swim. Flows between 1300-2000CFS are considered high flow. Participants need to know how to swim, all boats need 2+ strong paddlers, and strong communication among group members is a must. Alcohol is banned at these flows. All children must be 7 or older. Flows above 2000CFS are normally too dangerous to run trips. We do not recommend the general public raft above 2000CFS.